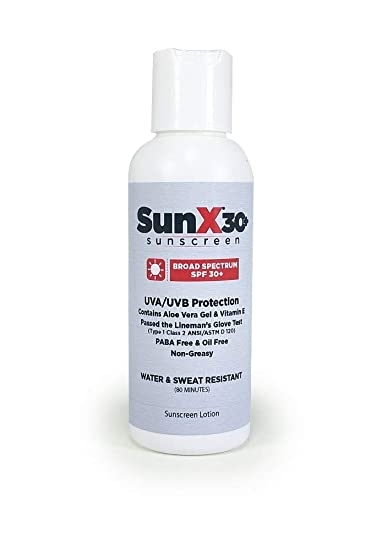 Coretex 71666 Sun-X Sunscreen SPF 30, 4 oz. Bottle. This non-greasy, high SPF 30 sunscreen blocks out 94.5% of the sun's damaging rays. PABA-free and perspiration-resistant, yet allows skin to breathe and release heat during physical activity. Available in a 4 oz. bottle.